Here’s our working definition of innovation: it’s an enterprise-wide capability to conceptualize, develop, and deliver to market new value. The means to finding that new value equation depends on your industry, company situation, and competitive environment. But one thing common to most innovation initiatives is this: New value is generated by adapting and combining concepts that have already been successfully demonstrated in other domains. It’s not invention; it’s enlightened adaptation. One company that has combined existing concepts into a blockbuster offering is Tencent, a Chinese internet company. Last decade, it had become well-known for its widely used, PC-based QQ messaging service. Despite its strong position, the company was acutely aware that shifts in technology and plays made by industry upstarts can quickly demolish existing value propositions, and take down organizations that aren’t adapting. So in 2010, it deliberately set itself to the task of developing a new kind of messaging tool. The result was a new offering called Weixin (literally “micro message,” known in English as WeChat), a mobile messaging, sharing, and networking application, and the story of its success is enlightening. 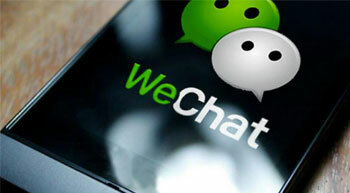 Since its launch in January, 2011, Weixin has been adopted by 300 million users. That is forecast to grow to 400 million users and $500 million revenue in 2014. The free service combines Facebook-like features with elements of Instagram (a photo-sharing application), and a hold-to-talk voice messaging feature. As an alternative to typing messages, Weixin users can record and send a voice note at the push of a button, in a modified “walkie-talkie” style. All the elements of the Weixin application already existed, but the Tencent developers combined them in a way that has proven to be a winner with customers, and that leveraged their existing QQ user base of more than 700 million. As one 29-year-old user put it, “This is how we communicate.” It’s overtaken other staterun communication services, and the company is poised for further industry disruption. For example, while the revenue they currently generate comes mostly from mobile games, they’ve got plans for more applications that include everything from easy booking of transportation and travel to interacting with things – as in controlling TVs and home appliances. The notion of recombining existing information capabilities to interact with things rather than with people has huge potential to affect both services and products. The “internet of things”-devices that can sense the world around them and act on that information-is emerging around us. In the internet of things, data is produced and/or consumed by machines rather than by people. Nest was recently acquired by Google, for $3.2 billion in cash. That’s a big deal, in more ways than one. In a recent interview Walter Isaacson, the author of the bestselling biography Steve Jobs, cited the move as a sign that Google has stolen the innovation crown from Apple. The deal exemplifies, he said, the “amazingly strong integrated strategy that Google has to connect all of our devices, all of our lives, from our car, to our navigation system, to how our garage doors are going to open.” Weixin seems to be thinking along similar lines, if on a somewhat smaller scale. Use data generated by “things” – e.g., a refrigerator that knows what you’ve got, when it expires, and what you’re running low on, and that could order groceries for you. Make “things” digital – e.g., books, newspapers, photographs, and games. Combine data with other companies and industries – e.g., smart city initiatives that draw on many sources of data to improve governance and quality of life. Package and sell a capability – e.g., IBM reselling its process for managing employee’s travel expenses. In the parlance of the business model map, framing data- and analysis-based growth and innovation opportunities means examining the infrastructure side of the map, to see what data assets and analysis capabilities might be repurposed and expanded to create new value. While innovation initiatives often focus on the voice of the customer, by identifying unmet customer needs through in-depth research, ethnography, and so on, they can also rely on listening to the voice of your products and processes. One way to hear that voice is to pay attention to your entire business model map. You may just find the seeds of spin-off products and services that could extend your existing value propositions, or create brand-new ones that require new business models.